Extreme frosting close-up! It’s so tasty I figured it deserved it’s own picture. 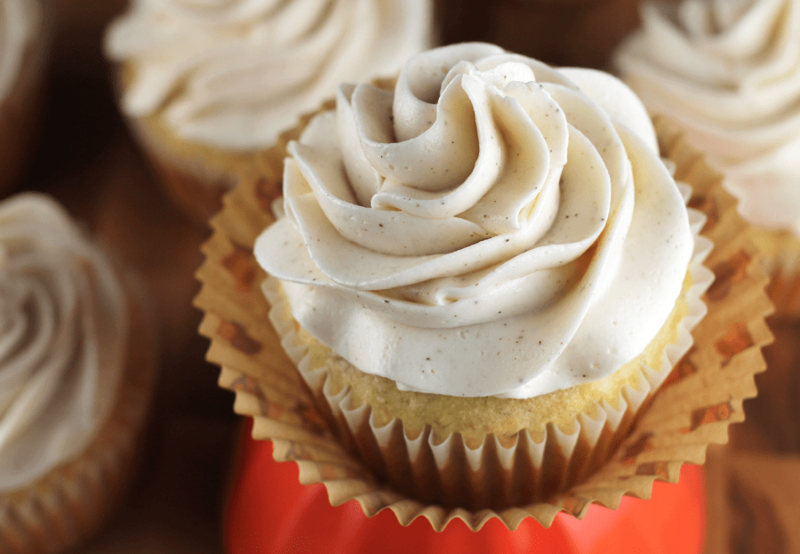 The only thing tastier than the frosting is the banana cupcake under it. 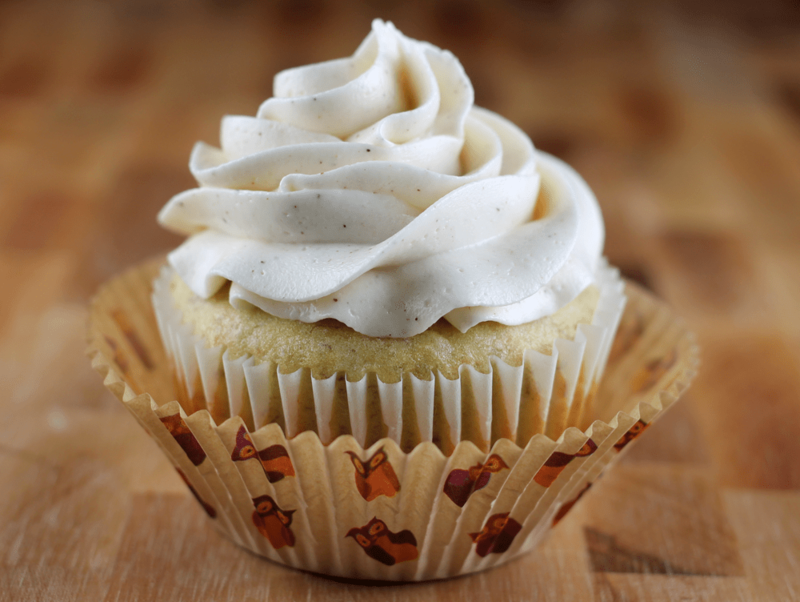 If you like banana bread, you’ll love these banana cupcakes. The cupcake batter is pretty easy enough. It starts like oh-so-many recipes do. That is, with butter and sugar, of course. Warning: you will have to separate eggs for the batter, so prepare for that. That’s the toughest part of the recipe though. Once the butter and sugar are creamed together, three egg yolks are added. 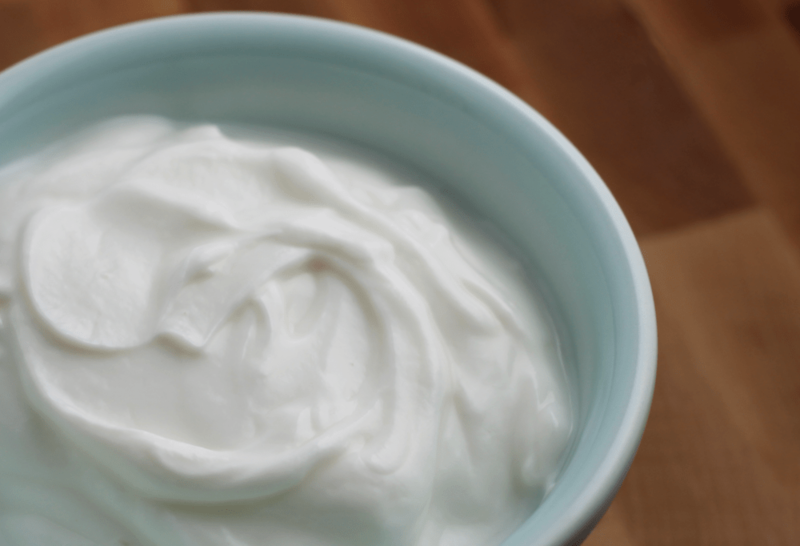 Keep the egg whites! The egg whites are whipped up in a separate bowl and folded into the batter as a last step. Three bananas are used in the recipe. They should be not only ripe, but baked for 15 minutes. Weird, right? It was definitely a first! It really kicks up the banana flavor though. The dry ingredients and greek yogurt are alternately mixed into the batter. Then, the whipped egg whites (mentioned above) are folded in. I don’t have a picture of those for some reason. I’m a slacker. This will make you enough for 18 cupcakes. To get my cupcakes the same size, I grab my 1/4 cup measuring cup and use 1/4 cup batter for each cupcake. While the cupcakes are baking, whip up the frosting. Whip it. Whip it good. And when the cupcakes are cool, just frost the cupcakes. 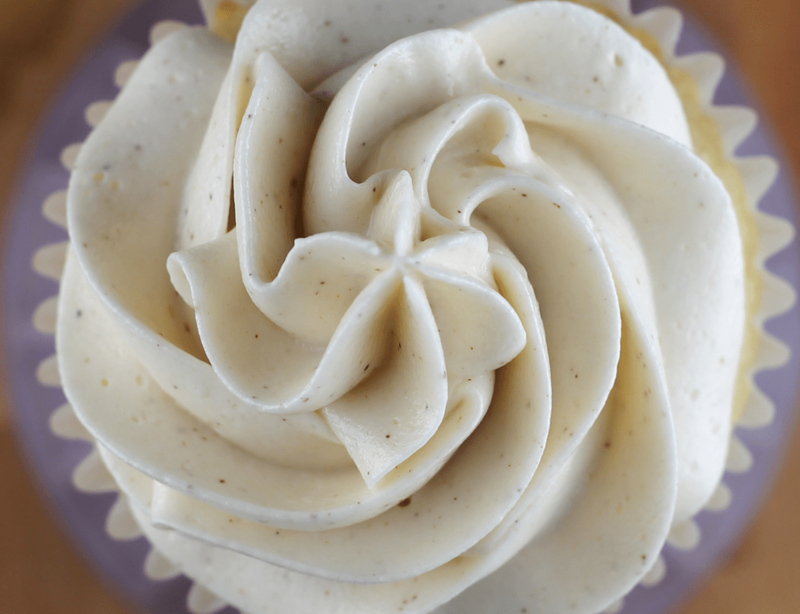 You can get all fancypants and use a large piping tip to make the frosting look pretty. A regular old spatula works too. Preheat the oven to 400 degrees. Place 3 whole unpeeled bananas on a baking sheet and roast for 15 minutes. Weird, right? The peels will turn brown. Remove the bananas from oven, let them cool, and peel them. 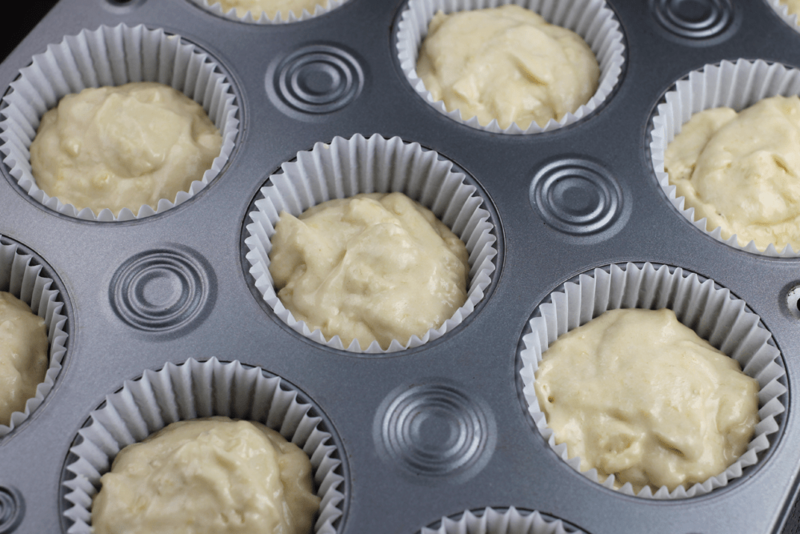 Line a muffin tin or two with 18 paper liners. 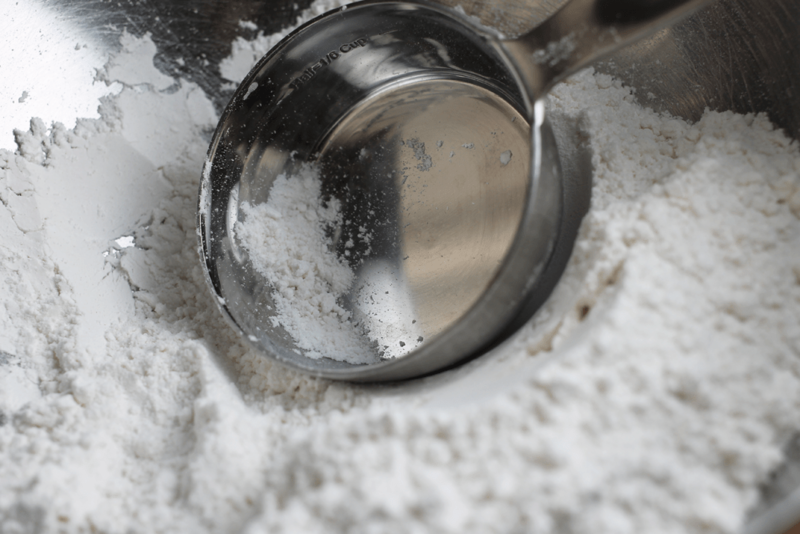 Sift together cake flour, baking soda, baking powder and salt together in a medium bowl. 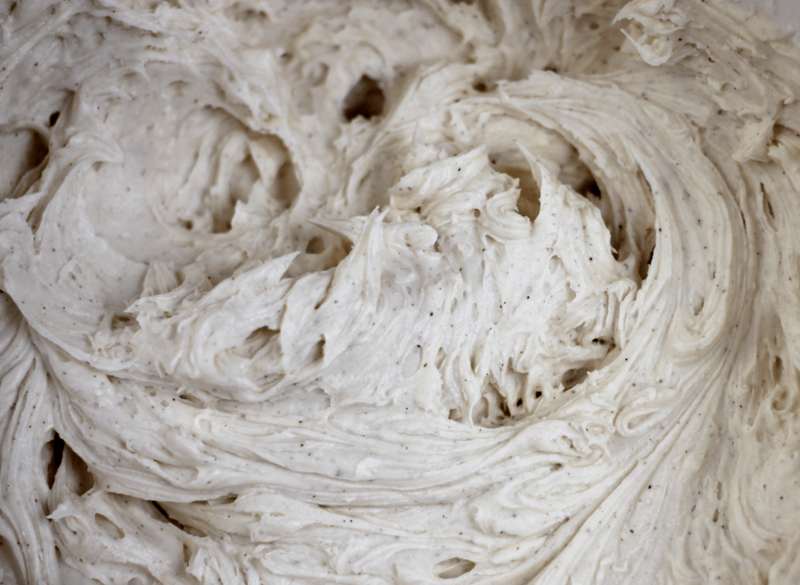 With an electric mixer on medium-high speed, cream the butter and sugar until pale and fluffy. Add egg yolks, one at a time, beating until each is incorporated, scraping down the sides of the bowl as needed. Add roasted bananas, and beat to combine. Add flour mixture in three batches, alternating with two additions of sour cream. Beat until just combined after each. Beat in vanilla (I actually forgot the vanilla in mine opps! – and they were still good). 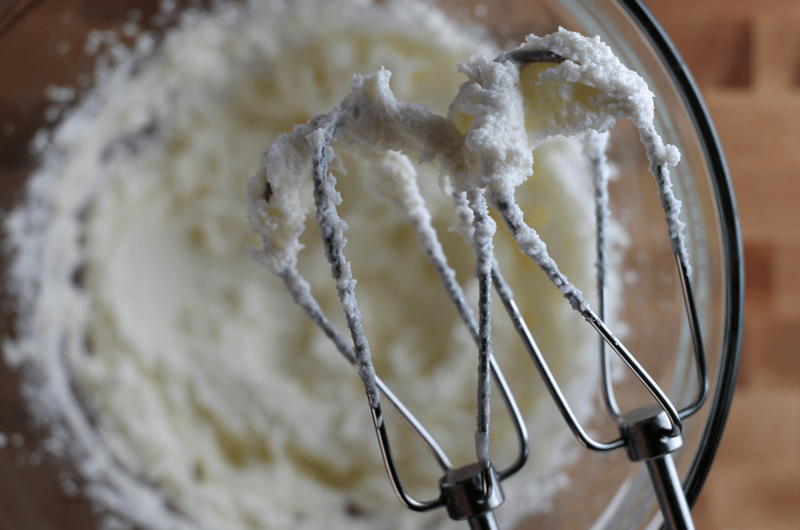 In another mixing bowl, with electric mixer on medium speed, whisk egg whites to soft peaks. Fold 1/3 of the egg whites into batter. Gently fold in remaining whites in two batches. This will lighten up the batter a bit. Divide batter evenly among lined cups, filling each three-quarters full. I used a 1/4 cup of batter for each cupcake. Bake, rotating tins halfway through, until a cake tester inserted in centers comes out clean, about 18-20 minutes. Let cupcakes cool completely before frosting. With an electric mixer on medium speed, beat all ingredients until smooth. Surprisingly, even just two tablespoons was definitely enough to give it a very honey flavor. Use the frosting immediately, or refrigerate up to 5 days in an airtight container. If refrigerating for later, bring it to room temperature and then beat it again until smooth. OMG why aren’t these coming to @ROIDNA !?! I’ll get you guys next time!